At Outskirts Press, Inc., we take great pride in celebrating the work of our successful self-publishing authors, and we do so each week through our Self-Publishing Author Spotlight. This week we highlight self-publishing author and Olympic Gold Medalist Mary Wineberg. The story of Mary Wineberg is one of extraordinary perseverance. She overcame astronomical odds and monumental challenges to grace the top step of the Olympic podium. Her path to Olympic Gold is unlike any the sport has ever seen. She was not a high school standout. She was not a star in college, and she came up short five years in a row trying to run post-collegiately. How could a young girl, abandoned by her mother, and from a disadvantaged background, take what seemed to be average talent all the way to Olympic Gold? She is truly an inspiration to all! 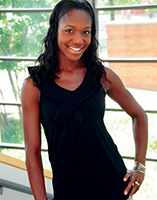 Mary Wineberg is a 2008 Olympic Gold Medalist and a 2007 World Championship Gold Medalist in the 4×400 meter relay in track and field. She is now retired from the sport and was inspired to write her story in order to heal from her past, be able to forgive and move on, and motivate others to strive for their dreams. As an educator, Mary loves to give back as a positive role model, and show that dreams can come true. Mary Wineberg resides in Cincinnati, Ohio with her husband and two daughters. She is an elementary schoolteacher in the Cincinnati Public School District. Life is full of choices, decisions, and opportunities. Your perseverance determines your destiny. I struggled and needed answers. I wanted to know why? I had to know why. Would the choices made for me determine my destiny? Who would raise me? Where would I go? What would happen to me? Could I ever overcome these circumstances? My life was not perfect, but with faith, this girl was able to accomplish her dream! Dream, Believe, and Achieve.